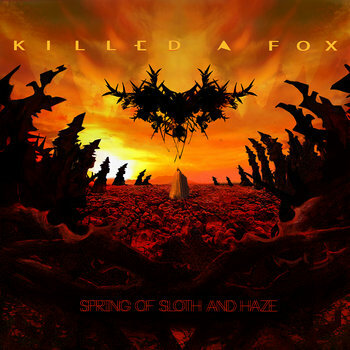 Nifty Croatian rock with groove, Killed A Fox are a pretty cool new band who bring in a healthy mix of influences to get at something special. Their sonic attack is fairly distinct and shows the capability of the band to come forth with a bit of everything and deliver what can only be called a startling and refreshing burst of rock 'n' roll madness. While yes, there are a lot of standard modern rock influences in the vocals, you can also find touches of Primus and other slightly 'out there' acts accentuating the ringing guitar parts and gyrating bass lines. These songs are exciting and oftentimes tumultuous, twisting and turning like there's no tomorrow. When they end in moments of triumphant and glorious rock and roll redemption you have to close your eyes and smile, this is what the lords of rock would have wanted for us. Killed A Fox have a distinct sound and know what they want to do, it's just a matter of clicking 'play'.